The billions of things that fall under the domain of IoT produce massive volumes of data, and this is where the greatest potential for AI-IoTBPM (Artificial Intelligence – Internet of Things) lies. Tapping into those data streams allows businesses, government and industry to improve manageability and ease of use for consumers, consumer safety and awareness, and enable quantum leaps in the level and quality of products and services in our lives. The definition of Artificial Intelligence (AI) is the intelligence exhibited by machines or software. Arduino Tron AI-IoTBPM is enabling what have previously been “dumb” devices to add new layers of functionality and access creating the basis for smart homes, smart cars, and smart manufacturing. It’s not just about automatically turning on an air conditioner. The data collected, combined with Arduino Tron AI-IoTBPM makes life easier with intelligent automation, predictive analytics, and proactive intervention. In an IoTBPM scenario, AI can help companies in finding the groups of highly meaningful data and analyze trends and patterns for better decision making. Think about a car that never breaks down because each component is monitored and replaced before the MTBF (mean time between failures). The specific component failure is analyzed, and each replacement component is an improvement on the last. These are just a few promising applications of AI in IoT. The potential for highly individualized services are endless and dramatically changes the way people live. Executive Order Corp’s Arduino Tron AI-IoTBPM provides us the multi-tiered architecture to provide a complete AI-IoTBPM system. The following key design methodologies are utilized in the Executive Order Corp AI-IoTBPM application. Starting in Drools 7, it introduces the Business Logic Integration Platform which provides a unified and integrated platform for Rules, Workflow, and Event Processing. Drools – BRMS system with a forward-chaining and backward-chaining inference-based rules engine, allowing fast and reliable evaluation of business rules and complex event processing. 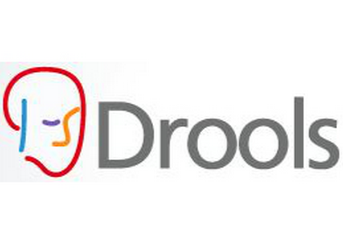 Drools – Allows fast and reliable evaluation of business rules and complex event processing. A rule engine is a fundamental building block to create an expert system which, in artificial intelligence; drools emulates the decision-making ability of a human expert. Drools can reason to a conclusion (infer) beyond what we currently know. We say that Drools emulates the decision-making ability of a human expert. The key advantage of this point is that using rules can make it easy to express solutions to very difficult problems and consequently have those solutions verified. Rules are much easier to read than traditional programming code. Your data is in your domain objects; the logic is in the rules. This is fundamentally breaking the OO coupling of data and logic, which can be an advantage or disadvantage depending on your point of view. The upshot is that the logic can be much easier to maintain as there are changes in the future, as the logic is all laid out in rules, as we have in IoT. This can be especially true if the logic is cross-domain or multi-domain logic. Instead of the logic being spread across many domain objects or controllers, it can all be organized in one or more very distinct rules files co-located across IT infrastructure. With IoT devices by default, they are separated in a Hyper Computing environment. This given by architecture design creates the separation of logic and data as we need in IoT. jBPM is a flexible Business Process Management (BPM) Suite. A business process allows you to model your business goals by describing the steps that need to be executed to achieve those goals, and the order of those goals are depicted using a BPM flow chart. jBPM – Flexible Business Process Management suite allowing you to model your business goals by describing the steps that need to be executed to achieve those goals. jBPM – Allows you to model business goals and the order of those goals are depicted using a flow chart diagram. jBPM is a flexible Business Process Management (BPM) Suite. It allows you to model, execute, and monitor business processes throughout their life cycle through GUI. Business Process Models are expressed in a given process modeling language. OMG commissioned the development of the BPMN2. Arduino Tron – The BRMS is making the Enterprise Business decisions and the BPM is executing the Business Goal. The power of the IoT device increases greatly when business processes (jBPM) can use them to provide information about our real-world as well as execute IoT device actions as part of our business process. 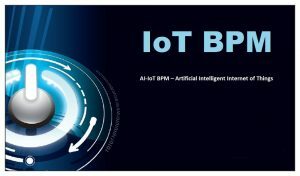 The jBPM-BPMN modular allow us to define both the business processes and IoT devices behavior at the same time using one (BPM) diagram. Making “Things Smart” is the application of AI to IoT platform via DroolsRules Inference Reasoning, jBPM, and ES-Expert Systems Architecture. With Arduino Tron AI-IoTBPM we add Drools-jBPM to our IoT devices. This is what makes the Arduino Tron AI-IoTBPM system so powerful. The Executive Order Arduino Tron AI-IoTBPM will help these IoT devices, environments, and products to self-monitor, self-diagnose and eventually, self-direct.